It's October 4th...do you know where your next customer is coming from? If you're wondering whether it's time to get serious about internet marketing, download our free "Essential Step-by-Step Guide"! On the occasion of "Manufacturing Day" (@MfgDay) ...Can we talk? Maybe you're one of the lucky manufacturers - one of those whose B2B product is sold once, and then has a lifetime annuity value through expansion, replacement & upgrade. Or maybe your B2B sales & marketing assumes that each customer will only buy once from you. Either way you have to generate a consistent stream of revenue growth - and that requires new customers and more and more qualified leads. But if you're like most manufacturers, traditional B2B marketing is letting you down. It's almost enough to discourage someone who puts his or her heart and soul (not to mention countless hours and sums of money) into a business. You've been here before. A couple decades ago American manufacturing was on the ropes. Did you throw in the towel? Of course not. You dug down and got cerebral about how to improve quality, increase productivity and manage costs. Well it's time to do the same with your business development growth strategy. After all, have you ever stopped to ponder the incongruity of a manufacturing operation leveraging all the latest theory and tools that relies on a growth strategy still anchored in the old days? Sort of silly, isn't it? I know - you use email now (but do you still list a fax number on your business card??) and you have a website that you created a few years ago. Maybe you print fewer data sheets, you use a smart phone (or rather your smart phone controls you) and you probably have IP telephones in your office. So you're pretty up to date....but how about your strategy and tactics? Probably not. Most B2B manufacturers still rely on the same cycle of advertising and cold calling that has characterized B2B sales & marketing for decades. The good news is that applying even a portion of the rigor that you have applied to your production efficiency will yield enormous business development success. But don't wait until you're on the ropes again. After all, background growth of 2% doesn't provide the tail wind to grow by holding on. To oversimplify your options, you have two. 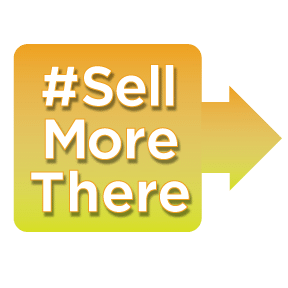 You can #SellMoreHere and/or #SellMoreThere. And the approaches really can be independent, serial or parallel. It starts with honestly acknowledging that you buy differently than you sell. Seriously. When you are ready to make a B2B purchase, you and 93% of all buyers start with search. That means that getting found is critical. And getting found today is about much more than typical "SEO." Once a buyer finds you, they're expecting worthwhile information - not just product specs. 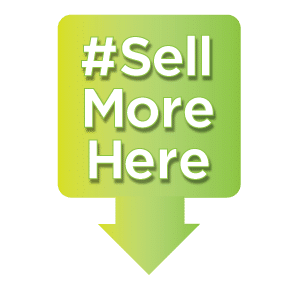 They will also expect to move deep into the buying process on their own - relying on their research - and eschew engaging with your sales rep until they are 2/3 of the way through their buying cycle. Selling in a way that compliments this process requires a big mind-shift, and new tools and strategies based on content marketing. But most manufacturers have spent money on internet marketing before - without results. So you're skeptical. Here's a blinding flash of the obvious. If you want to sell, you've got to manufacture products that folks are interested in buying. Everyone gets that. The corollary to that business maxim is that you have to go where the buyers are buying. Oddly, fewer embrace that principle of business development. It's certainly easier to hang around your area, or branch out into comfortable and familiar markets across the US. Maybe if your business is among the rarified 5% of all American companies you sell into Canada or Mexico. But only 1.5% of all American companies sell outside of NAFTA. Yet that's where the rapid growth is happening. Emerging and frontier markets offer vibrant destinations for "Made in USA" products. Are there some different risks to manage? Sure. Are there other skills required to successfully develop international sales? Of course. But just as you evolved into a world class manufacturing operation, you can similarly evolve into a globally diversified business. The best news is that the same basic building blocks are important to both approaches. B2B internet marketing is the fundamental foundation to today's B2B sales & marketing challenges. Built right, it provides a flow of qualified leads domestically and internationally - right from your own office.